Live Life Like a Best Seller: Just One More Paper! I alluded to the police station in my last post, so now I’ll explain a little more about our adventures in po-po-land. Please remember that I never want my observations to be perceived as complaining or culturally insensitive. I am wading through the differences in Serbia and choosing to see them as “different, but not wrong.” Although, one has to admit - some times the differences are so vast that they are shocking and even a little humorous. So Serbia recently changed the visa laws. 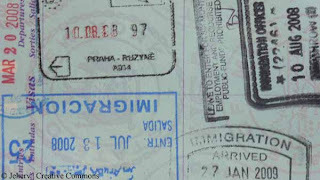 Used to be that if you exited the country every three months, you could stay in Serbia “visa-free” as long as your heart desired. You could cross a border, turn your car around, get your passport stamped, and re-enter Serbia. That would have been considered “leaving” the country, and then your three-month window would again be extended. Needless to say, a lot of people were probably working in Serbia without a visa and without paying taxes. Well, the visa laws have all changed. 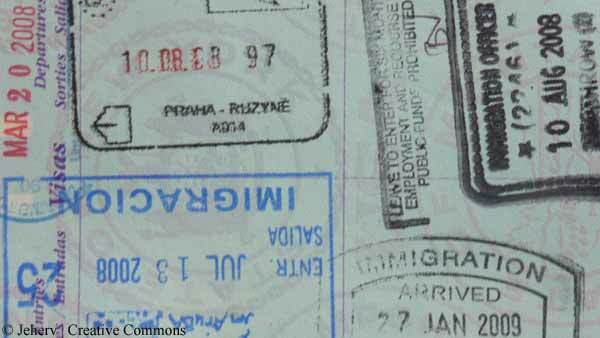 Now you can only stay in the country for a combined three months before you HAVE TO get a visa. And they don’t make it that easy to get a visa. Chris started the process at the beginning of August, and it must have taken a month before he had all of the “correct papers” necessary to submit his visa application. It is almost a joke in Serbia that every time you go to the police station for anything (drivers license, building permit, ID card, visa), you must stand in one line after another and once the lines have wound down, you’re always missing JUST one more paper. It didn’t matter if Chris’ company called ahead of time and verified that we had all the correct forms, without fail, we were always missing something. Makes me want to avoid the police station at all costs, and most Serbian people I have spoken to feel exactly the same way. Every time we showed up at the station, we were working with a different officer who wanted something opposite of what we had been told the time before. Although there were photocopiers at the police station, they made you go to the little business adjacent to the station to pay for our copies. I think they have a deal with that little business that they will help keep him in business. Can’t say it really bothered me that much, it just seemed like a huge waste of time. Once Chris received his visa, they allowed me to start the application process. Luckily we had been through it once before, so we thought we knew exactly which papers the police would ask for. Chris and I arrived at the station armed with a stack of papers and the assumption that we would not have to come back again. We should have expected that of course we were missing JUST one more paper. They told me that I needed to open a bank account and prove that I had access to a certain amount of money in case anything happened to Chris. We left the police station slightly discouraged and frustrated. We knew that we could not convince the bank to allow me to have my own account, and that is where Marko saved the day. My previous post details how I finally got that one last paper to appease the police. The end of the story is that I should receive my own visa in about a week. Yeahhh!! Then I can actually start the job search. Ohhh, and we should not have to see the inside of that police station for at least another 5 months! 'lo there! I'm one of your readers. Welcome to Serbia. Now, the question: Where do you get ID card, driving licence, passport, building permit, etc, in US? All in one place? Each in a different place? I think that is exactly what the issue is; cops are not allowed to be just COPS here. They have to do all the annoying paper work, and that has got to be a lot to handle. I do believe that they are expected to wear too many hats here. Good news is that I should have a visa here shortly! I feel your story, and have published TONS about my woes with different inefficient serbian paper work hassles that I dealt with on numerous occasions. I'm sure you will get used to it that if you want to get some thing done, that should take say max 1 hour, it will take the good half day, or maybe even the whole day! :D This is Serbia :D I love it!